Comic books, strips, etc. ; United States; History. From your friendly neighborhood Spider-Man to the uncanny X-Men, Marvel Comics has been entertaining people for over 70 years with its fantastic characters and engaging stories. Marvel Year by Year outlines the evolution of Marvel Comics from its beginnings to today, including all of Marvel's publishing landmarks, displayed clearly on a month-by-month timeline. It highlights the debuts of key characters, the comic geniuses that created them, and the real-life events that inspired them, like the Vietnam War, the atom bomb, and the Space Race. Packed with original comic book art featuring numerous classic covers, this fully revised and updated edition includes 32 new pages that cover the years since its original edition. 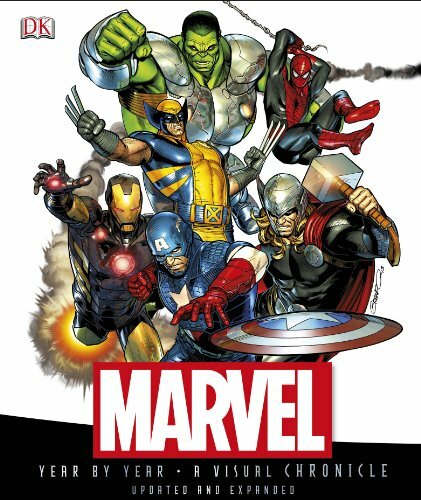 With in-depth, unparalleled information about this remarkable institution, its characters, and the creators, Marvel Year by Year is unmatched by any other title. About: Includes two exclusive prints!